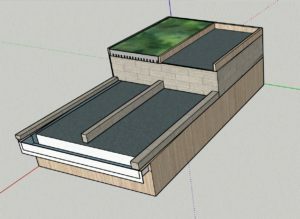 Image depicts a lightweight green roof that captures rainfall and cools the roof compared to the grey roof to the right. Test out the Green Roof Sluiceway on April 12 at the PA-DE ASLA Annual Meeting at the DoubleTree by Hilton Hotel in Cranberry Township. At booth #23, Rodney Chaney will measure and compare water retention as well as heat transfer on vegetated roofs vs black roofs.. It is a great opportunity to get up close and personal with innovative green roof technology. Touch, feel and witness how a green roof plays a vital role in retaining and detaining rainfall, attenuating stormwater, mitigating the urban heat island effect and reducing the environmental footprint. 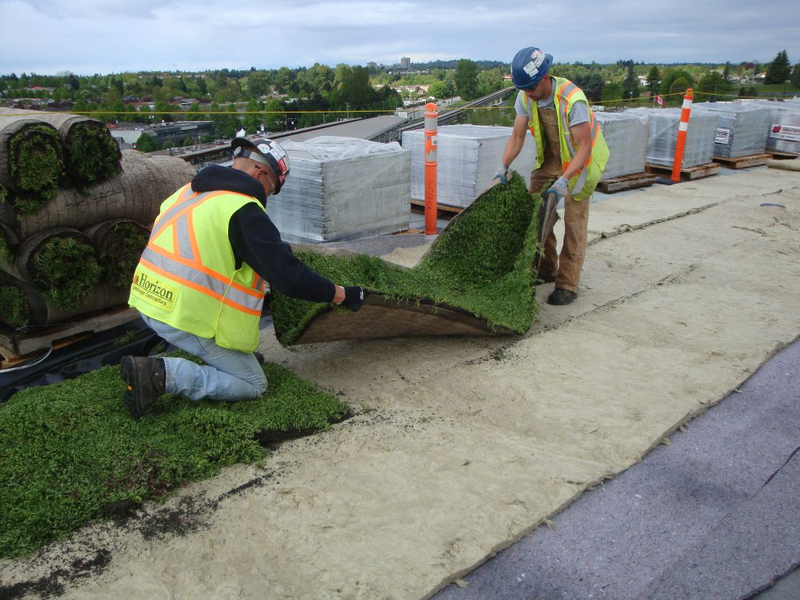 Vegetated roofing systems reduce the environmental footprint in many ways, simultaneously. • Water: The green roof helps detain and retain rainfall at its source and therefore control runoff. • Energy saving: Through shading, insulation and evaporative cooling the green roof therefore helps reduce energy use. • Climate: Green roof reduces flash floods and combined sewage overflow. It addition, it mitigates the urban heat island effect. 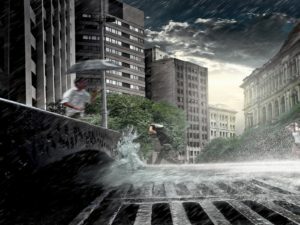 Green infrastructure can mitigate stormwater pollution. A good rainfall really cleans the city streets. 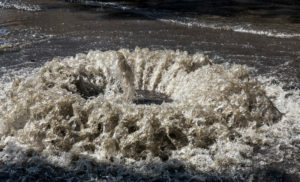 All the road salt, cigarette butts, animal feces, antifreeze, dust, automotive rubber and metal — all is swept up in the rain, into the storm sewers and therefore into our waterways. The Sluiceway will illustrate this with an interactive demonstration of the how green roof systems help retain and detain rainfall. The Sluiceway allows you to get up close and witness the benefits of vegetated roofs. Visit booth #604 at NERCA 2019. Volunteers can pour gallons of water onto two sloping platforms. Platform One will mimic a typical roof and feature a waterproofing membrane. Trash and that would be found on city walk and road ways and end up in the sewer system. Platform two features the StormCap pre-vegetated system that collects rainfall and helps with stormwater management. At the end of each platform a storage bin will collect the “rainfall” and trash. The audience will witness the performance of the StormCap vegetated roofing system and learn why vegetative roofing technology plays a key role in stormwater management. Image to the left depicts green roof benefits of protecting and cooling a building and capturing stormwater at the source. 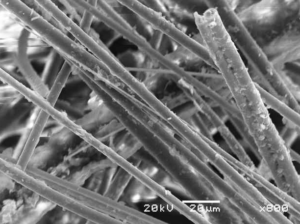 It can can supplement or, in some cases, replace heavy growing media. 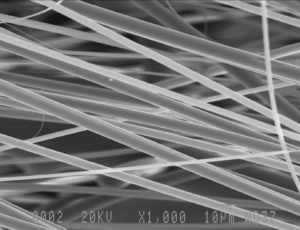 It can act as a water reservoir while supporting plant health. 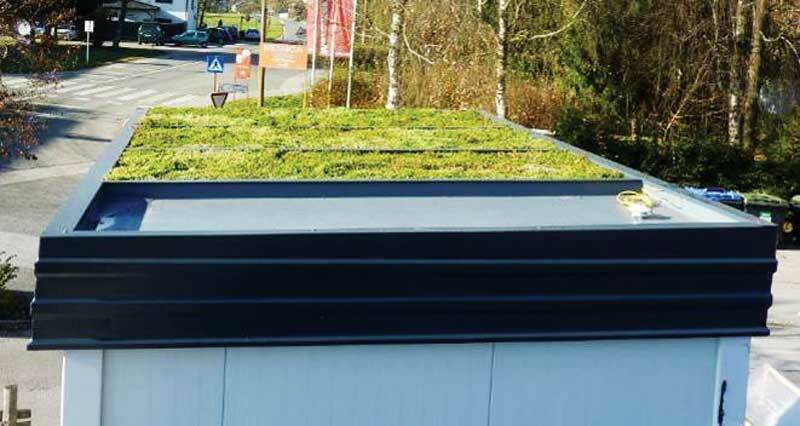 It performs exceptionally and reliably as a rooftop stormwater management tool throughout the lifespan of the vegetated roof (as seen on Sweden’s Karolinska University Hospital, Rentenversicherung headquarters in Berlin, and various projects throughout Baltic and Scandinavian countries). Please visit us and Rodney Chaney at Stormwater Capture Co Booth #23. 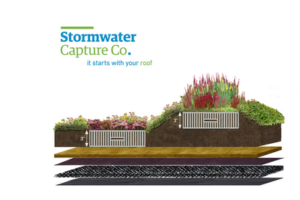 Stormwater Capture Co offers a single source solution for a complete green roof system package . We customize your system to local requirements and provide warranty and support. We are a one-stop-shop supplying vegetated mats, high performing base layers, pavers and accessories. Contact Rodney for more info or a free quote on your upcoming project. It’s no small feat to explain sewers and sewage overflow in a simple, entertaining and educational manner. Biologist Dr Anna Zakrisson does this in this great blog and audio podcast What is a Combined Sewer? Zakrisson sheds light on one of the worst causes of water pollution facing our aging towns and cities and explains how detention-based green roofs help reduce stormwater flow and mitigate CSOs. How does a Combined Sewer Work? Dr. Zakrisson concludes, as CSOs are the result of too much water at once, detention is the most reliable way to “keep the poo away from your local beach”. 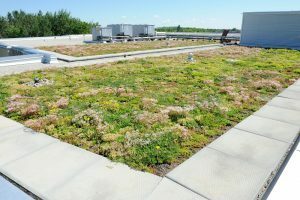 The Green Roof Diagnostics includes a team of engineers and industry experts who provide scientific research for the green infrastructure industry. 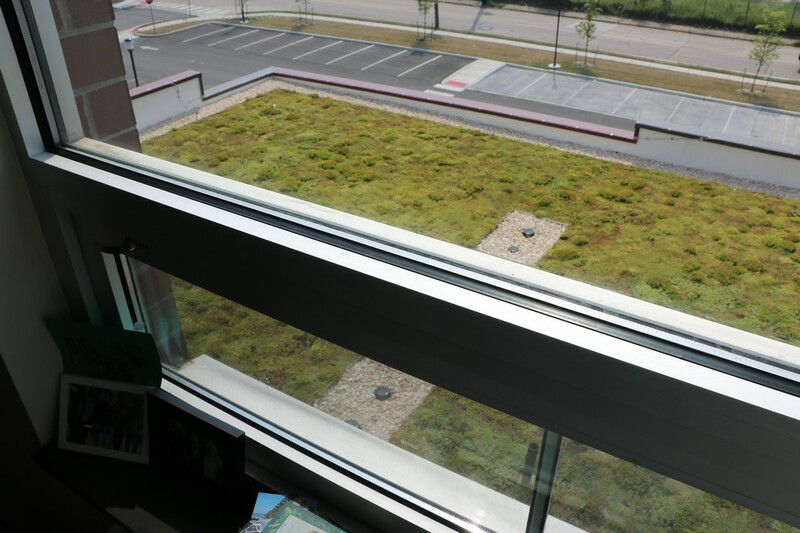 Stormwater Capture Co offers a single source solution for a complete green roof system package such as the StormCap system. We are a one-stop-shop supplying vegetated mats, high performing base layers, pavers and accessories. 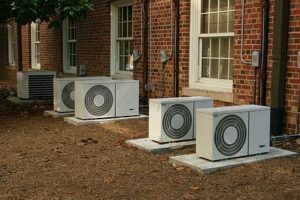 We customize the system to local requirements and provide warranty and support. Contact us for more info or a free quote on your upcoming project. Test out the Green Roof Sluiceway yourself on March 18 & 19 at the NERCA 2019 Convention at the Foxwoods Resort Casino. At booth #604, Rodney Chaney will measure and compare water retention as well as heat transfer on vegetated roofs vs black roofs.. It is a great opportunity to get up close and personal with innovative green roof technology. Touch, feel and witness how it can play a vital role in retaining and detaining rainfall, attenuating stormwater, mitigating the urban heat island effect and reducing the environmental footprint. Register here for the NERCA 2019 Conference. Please visit us and Rodney Chaney at Stormwater Capture Co Booth #604. The StormCap™ is a complete vegetated roofing system. 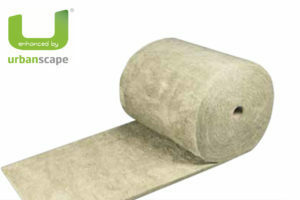 Quality pre-grown mats, engineered growing medium and high performing base layers help achieve long lasting results. Engineered base layers include Urbanscape’s Needled Mineral Hydro Blanket. 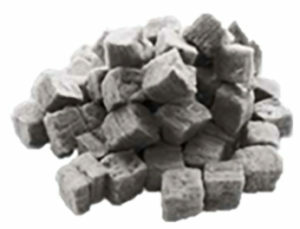 VFormaldehyde-free, this innovative virgin rock product uses no chemical binders. The Needled Mineral Hydro Blanket offers an environmental alternative to the other mineral wools on the market and has a superior performance of 90% of water retention by volume. As a result, it is ideal for vegetated roofs acting as a water reservoir and supporting plant health. 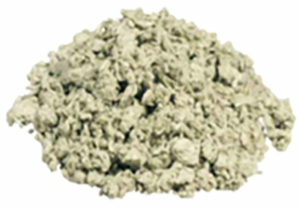 Hence, it can supplement or in some cases replace heavy growing media. 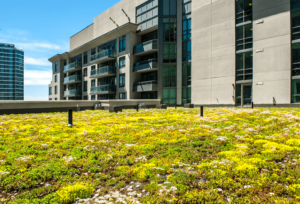 For these reasons it is an exceptional rooftop stormwater management tool throughout the lifespan of the vegetated roof. 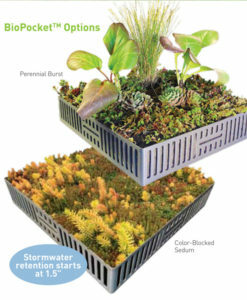 The StormCap™ is a fully customizable system with biodiversity options such as the BioPocket™. There are two BioPocketTM styles: a combination of sedums and perennials or color-blocked sedums-only. The former requires a deeper depth of growing medium. Detail rendering of the BioPocket integrated into the StormCap vegetated system to add biodiversity and greater visual and topographic interest. Contact us for an estimate or consultation on your roofing project. With deep roots in vegetated roofing, Stormwater Capture Co is committed to delivering breakthrough products and services that help with stormwater management solutions. 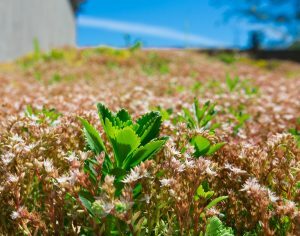 Stormwater Capture Co offers a single source solution for a complete green roof system package. We customize your system to local requirements and provide warranty and support. 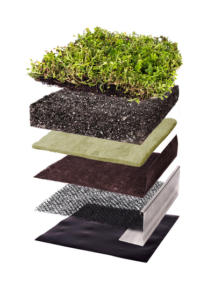 We are a one-stop-shop supplying vegetated mats, high performing base layers, pavers and accessories. Join Rodney Chaney for the hands-on Green Roof Sluiceway on Monday February 11, 2019. It will take place 12:30-1PM in the Exhibit Hall at the New Jersey Chapter ASLA Annual Meeting at Harrah’s Waterfront, Atlantic City. Be sure to also stop by and visit us at Booth #73. The workshop will explain the role innovative green roof technology plays in retaining and detaining rainfall and how green roof systems attenuate stormwater and reduce the environmental footprint. The Exibitor Lab workshop will illustrate this with an interactive demonstration of the how green roof systems help retain and detain rainfall. Following this, Rodney will present a 7-10 minute technical Power Point describing the green roof system’s benefits, with a focus on its capability to attenuate and retain stormwater and mitigate urban heat island. Sluiceway interactive exhibit will be presented at the New Jersey Chapter ASLA Annual Meeting Exhibitor Lab Monday February 11, 2019. The Workshop will ask two volunteers to pour gallons of water onto two sloping platforms. Platform One will mimic a typical roof and feature a waterproofing membrane. Trash and that would be found on city walk and road ways and end up in the sewer system. Platform two features the StormCap pre-vegetated system that collects rainfall and helps with stormwater management. At the end of each platform a 7-10 gallon storage bin will collect the “rainfall” and trash. The audience will witness the performance of the StormCap vegetated roofing system and learn why vegetative roofing technology plays a key role in stormwater management. Register here for the 2019 NJASLA Annual Meeting. Please visit us and Rodney Chaney at Stormwater Capture Co Booth #73. Acacia Smith explains the Albedo Effect. And, how your roof can help fight climate change. The majority of the roofs in the world are dark-coloured and as a result have a low albedo and absorp excessive amounts of heat. 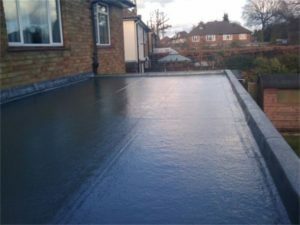 The majority of the roofs in the world are dark-coloured and as a result have a low albedo and absorp excessive amounts of heat. The ‘albedo’ of a surface is its ability to reflect solar waves; dark surfaces reflect very little whereas light surfaces such as ice have a high albedo and reflective ability. When sunlight hits a white surface, it bounces back and passes through the atmosphere. But once it is absorbed through a dark surface, sun is transformed into heat, which when reflected back during the night cannot pass back through the atmosphere and so remains in circulation. 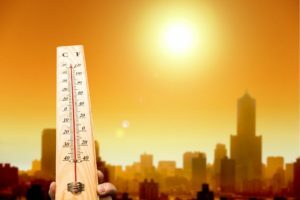 The low albedo of cities is a problem felt in many urban areas and contributes to the ‘urban heat island effect’ causing deadly heat waves in cities. The most recognisable outcome of the low albedo of cities is a problem felt in many urban areas throughout the world; the ‘urban heat island effect’ (UHIE). As naturally climate regulating vegetation is removed in favour of infrastructure, cities become pockets of higher temperatures. The difference between heat absorbing urban areas and their surrounding hinterland can be up to 5° degrees. The layers of smog that smother many cities today and the carry on health effects that are increasingly prevalent, are a result of UHIE. One way to increase the albedo of a roof is to plant vegetation. 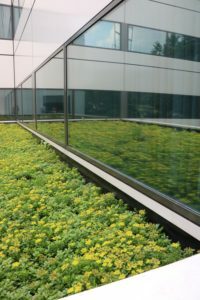 Rooftop gardens, and green roof systems such as the StormCap, create a buffer preventing heat from entering the building. They have a positive impact on temperature both within the building and outside as well as improving air quality. 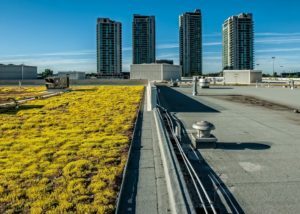 Green roofs may be one of the only ways possible to reduce UHIE and to adjust the urban fabric of our cities to cope with increasing temperatures and fight against climate change . By regulating temperature variability, green roofs also reduce energy consumption. 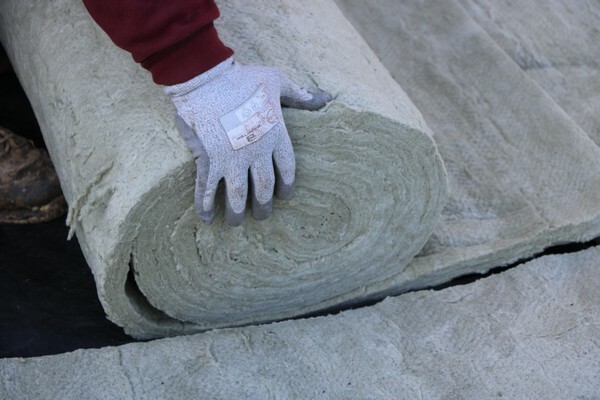 They provide added insulation in the colder months and prevent excessive heat absorption in the summer. Vegetated or green roof systems reduce the heat flux through the roof. Green roofs are gaining popularity rapidly. 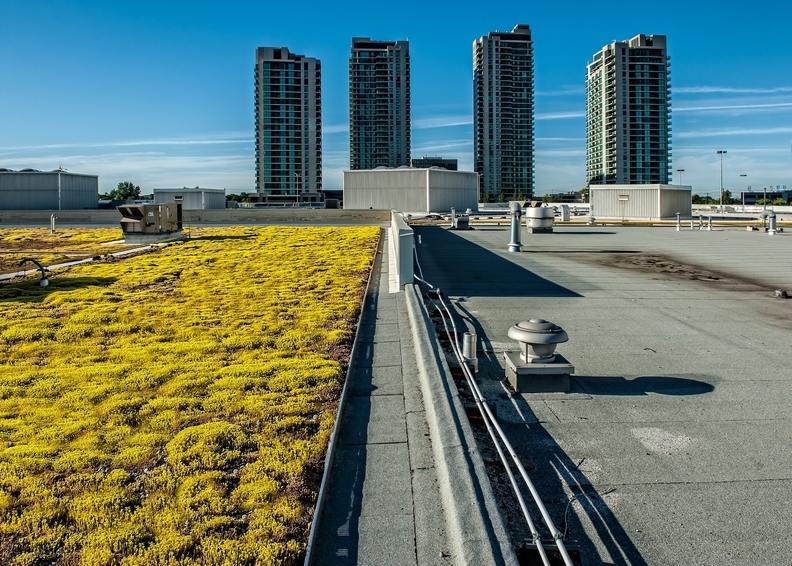 Several cities are beginning to encourage green roofs through legislature and tax incentives. New York is offering tax rebates to people wishing to install green roofs. Tokyo has a new policy that requires 20% of new government buildings and 10% of private buildings to have green roofs. 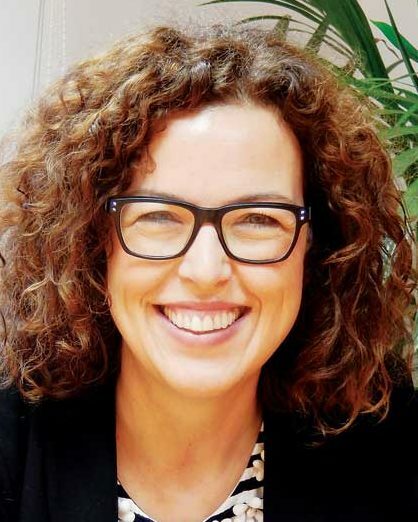 Acacia Smith wrote the above for the Sustainable Business Toolkit which offers strategies, tactics and tools to help small business grow and propser. To learn more about what they do click here. Stormwater Capture Co is proud to announce and welcome Rodney Chaney. Rodney is the new Technical Sales Manager and the company’s first point of contact for green roof inquiries. He will help deliver full life cycle vegetated roof solutions to clients across the North Eastern and Mid-Atlantic US. 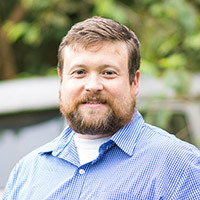 Upon earning his Bachelor’s degree from St. Mary’s College of Maryland, Chaney embarked on a career in the construction industry with a focus on sustainable building systems. During his successful 10 year career, Chaney has gained vast experience at several companies that serve the roofing and vegetated roofing industries. Chaney has been involved in estimating and delivering full life cycle new construction, retrofit, and rehabilitation green roof solution on over a half million square feet of structures. 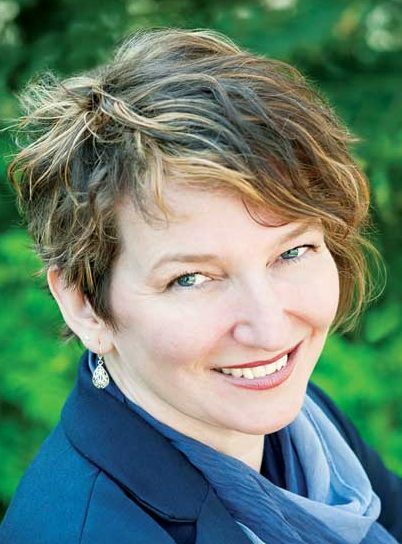 “I’ve seen the growing environmental impact made by our built environment. This has led me to focus on sustainable low impact development as a career where I work closely with contractors, engineering firms and owners to incorporate green roof systems to ensure project success. I look forward to continuing this tradition as I begin this new chapter,” Chaney said. Meet Rodney and the rest of the team at CitiesAlive 2018, September 24-28, 2018 Brooklyn, NY. Alternatively, you may contact Rodney at 855.786.7626 ext 6, rodney@stormwatercaptureco.com. Whether it’s a leading edge award-winning design or best value-for-money, the Stormwater Capture Co™ team delivers breakthrough vegetated roofing systems that help achieve results. The “go-to-single-source-solution” for the complete system package. 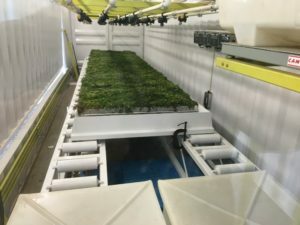 Our team prides itself in being a hassle-free, one-stop-shop supplying vegetated systems that can be customized to local requirements, with warranty and maintenance support. 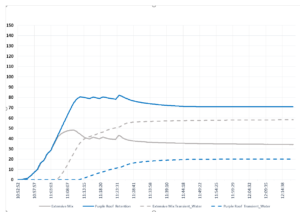 We also offer ​access to a variety of analytical support service​s such as ​stormwater calculations specific to location ​and building/roof type. We specialize in supplying green roof systems with​ high water retention-to weight ratio such as the StormCap system. Our premium base layers ​include​ the ​Needled ​M​ineral ​H​ydro ​B​lanket and can be easily cut to fit any shape and design.​ Contact us 855-786-7626 or send drawings to info@stormwatercaptureco.com get an estimate for your project. Copyright © 2018 Stormwater Capture Co. LLC. All rights reserved. 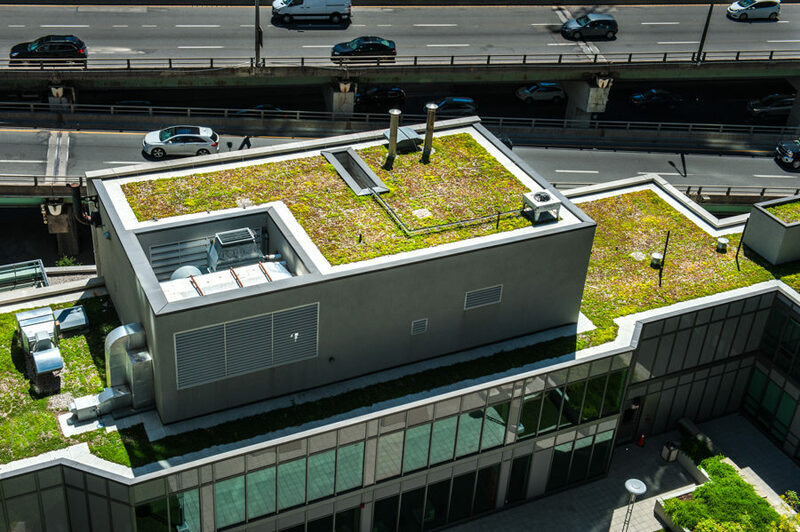 NYC Convention Center green roof brings nature back to urban core. 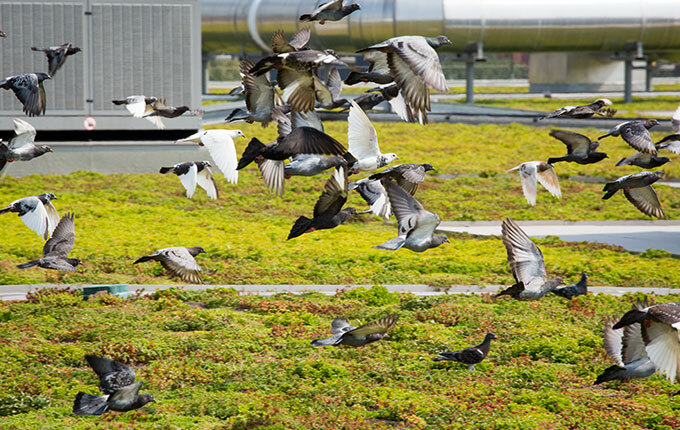 The 6.75-acre green roof on the Javits Convention Center makes the 27-year-old building an example of sustainable retrofitting – attracting many species of birds, bats, bees and even tourists who go on rooftop tours. This NYC landmark is also closely monitored by a team of engineers from Drexel University and The Cooper Union for the Advancement of Science and Art who have designed and installed sensor systems to track its environmental impact. In a recent interview with NPR (see video below), Javits’ CEO Alan Steel explained the significant aesthetic, environmental and economic benefits of the green roof. Honey harvested in Fall of 2017 from NYC’s rooftop. “Besides the great reaction, there are practical benefits. We have three hundred thousand bees, we’ve seen 25 different species of birds on the roof. We reduced the temperature out here by about six degrees Fahrenheit and we also save about seven million gallons of stormwater runoff that’s absorbed in the soil and the plants. 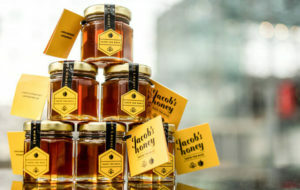 We’ve been able to reduce our energy consumption by about twenty six percent and that translated for us last year (2016) into a saving of about three million dollars.” Javits is now also selling honey harvested from the rooftop. “The success of our sustainability program epitomizes our rebirth as an organization, and this first batch of honey illustrates how far we have come in our efforts to reduce energy, create a wildlife haven and improve the quality of life in our neighborhood,” said President and CEO Alan Steel. 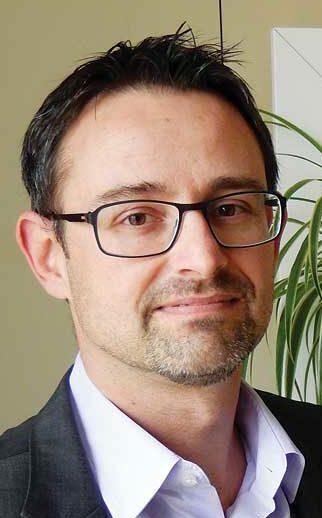 Professor Franco Montalto in the department of Civil, Architectural and Environmental Engineering at Drexel College is the lead researcher on the Javits green roof project. He says in recent years the City of New York has made major commitments to sustainability and green infrastructure. 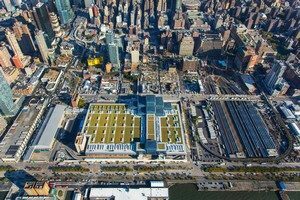 “The Javits Center green roof exemplifies the kind of environmentally sensible urban redevelopment projects that the City wants to encourage. 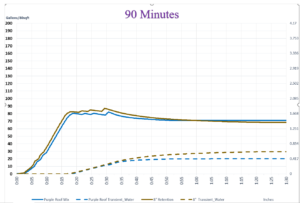 The retrofit building will reduce urban runoff, mitigate the urban heat island effect, and, potentially have a cooling effect on the streets and buildings that surround it. 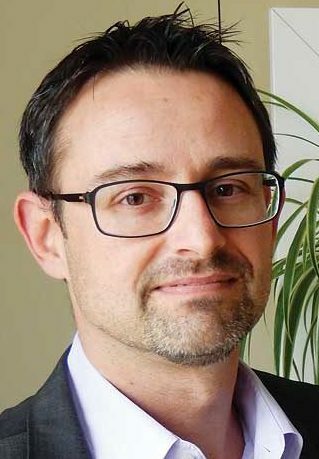 Our research will seek to quantify these benefits,” said Montalto. Montalto’s research team is currently also monitoring more than 15 other green infrastructure sites in New York, New Jersey, and Pennsylvania. Students from The Cooper Union will monitor the data and use it to learn about and model functional sustainable design projects. For more on the Drexel and Cooper Union green roof research, click here. Stormwater Capture Co supplies green roof systems with high water retention to weight ratio, ideal for retrofits and new builds.